Derbyshire, Chesterfield, Mansfield and Nottingham. Based in the East Midlands, we are small, family company offering a wide range of products and services relating to all aspects of the stairlift industry. With over 18 years’ experience, we install, repair and maintain all types of straight and curved stairlifts and are extremely proud of our outstanding customer service and after-sales care. We are also extremely proud to be working with a number of council-run rehabilitation wards enabling their patients to stay in their own home comfortably and safely. Whether you require a new installation, reconditioned stairlift, servicing, repair of an existing stairlift, or even short term rental, we will work with you to ensure we meet your individual needs and budget. We are also proud members of the Checkatrade, Derbyshire Trusted Traders and Age UK. The idea of deciding which stairlift is right for you, and having it fitted, can be a daunting one - we promise to help and reassure you every step of the way. Very good communication and was happy to work around us with times etc. Carried out fitting the stairlift to time said and cleaned all mess up. Made sure I fully understood how to use before leaving. Jon and Sarah supplied and fitted a stairlift at my parents house. They could not have been nicer. Job completed on time, no mess, no fuss and Sarah stayed until my parents were confident using the stairlift. We can't recommend them highly enough, we had a stairlift fitted. The work was done on time and budget. What impressed us was the friendly way in which they conducted both and advice and organisation in having the work completed. Excellent professional service throughout the work required to replace our stairlift. 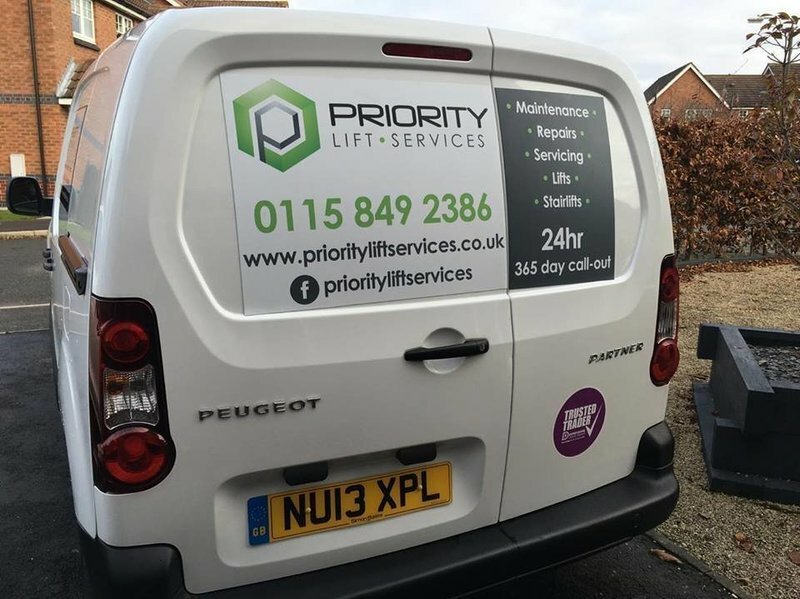 Priority Lift Services installed a stairlift for us at a difficult time. Sarah was approachable, understanding with no pressure sale at all. The whole job from start to finish was completed within 3 days. We would have no hesitation in recommending Priority Life Services. An excellent local business. Supplied & installed stairlift. We are very pleased as it works perfectly and was the price we agreed. Everything was neat and tidy when they left. Very pleased. Help in emergency to mend stairlift. Considerate and helpful. Quick, efficient, arrived on time, kept informed of installation. Professional manner. Left no mess. Price quoted was less. I would highly recommend this company. First class service and ongoing support. Recommended by a lot of customers, clean, prompt. Highly recommended fast efficient service. Courteous right from quote, fitting stairlift to follow up. Measured on Tuesday 27th September, fitted on Thursday 28th September. My dad is now able to get up stairs again.